Get your old menu back. 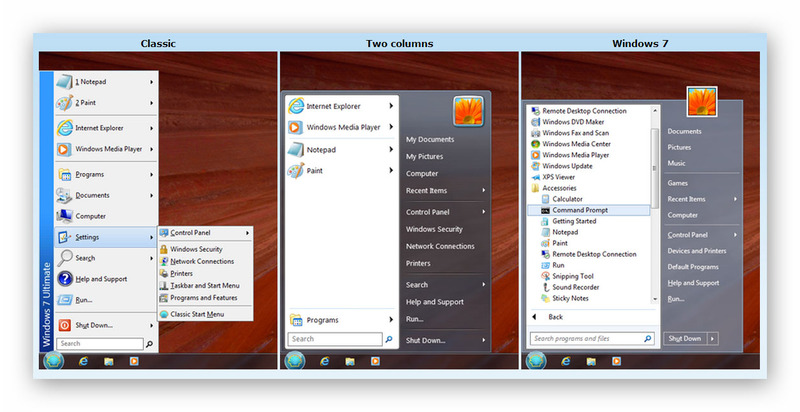 One of the things that a lot of people dislike about the later versions of Windows, is the removal of the start menu. There are a few ways to overcome this, but my preference is Classic Shell with Classic Explorer. Classic Shell works on Windows 7, Windows 8, Windows 8.1 and their server counterparts (Windows Server 2008 R2, Windows Server 2012, and Windows Server 2012 R2). Both 32 and 64-bit versions are supported. The same installer works for all versions.